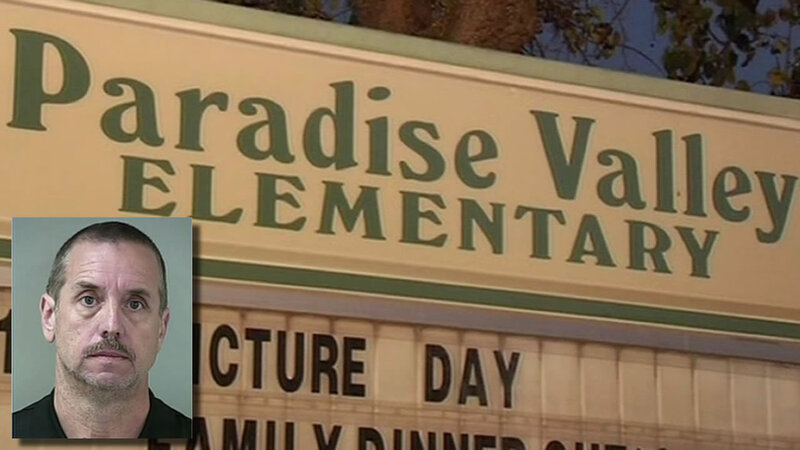 A Paradise Valley Elementary School teacher is being accused of sexually assaulting a young student inside his classroom. MORGAN HILL, Calif. (KGO) -- A former Morgan Hill teacher was sentenced Monday to 40 years in prison after pleading guilty to molesting fifth grade girls. John Loyd was a teacher at Paradise Valley Elementary school until he was arrested one year ago. He admitted to molesting three girls, mostly in 2012 and 2015. One of the victim's mother read a letter in court saying: "I hope you rot in hell." Police said Loyd was the director at the Nordstrom Child Development Center in Morgan Hill from 1992 to 1995. During 1999 and 2000, he worked as a substitute teacher at elementary schools in the Hollister School District in Hollister in San Benito County, including Calaveras, Ladd Lane (formerly Fremont, Gabilan Hills, Rancho San Justo, R.O. Hardin and Sunnyslope, as well as at San Benito High School, according to investigators. Police said he started his career as a full-time teacher with the Morgan Hill Unified School District at Nordstrom Elementary and then at Paradise Elementary and taught summer sessions at several grammar schools in the district.